Enjoy exceptional road adherence with the SportMaxx GT. The tread compound is mixed with racing carbon black to increase dry grip and braking performance. Dunlop Touch Technology combines several advanced features that deliver accurate handling and responsiveness. A flatter tread profile puts more tyre in contact with the road, for increased steering precision and road feedback. The SportMaxx GT maintains its shape at motorway speeds, which helps to enhance stability and wear resistance. Pressure is distributed across the contact patch, resulting in smoother transitions from straight to corner. 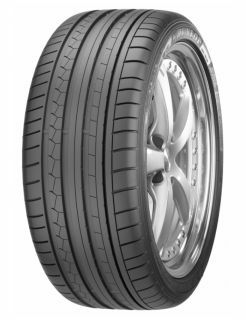 Dunlop RunOnFlat technology allows for continued driving after a puncture or blowout for up to 80 km, at a maximum speed of 80 km/h.